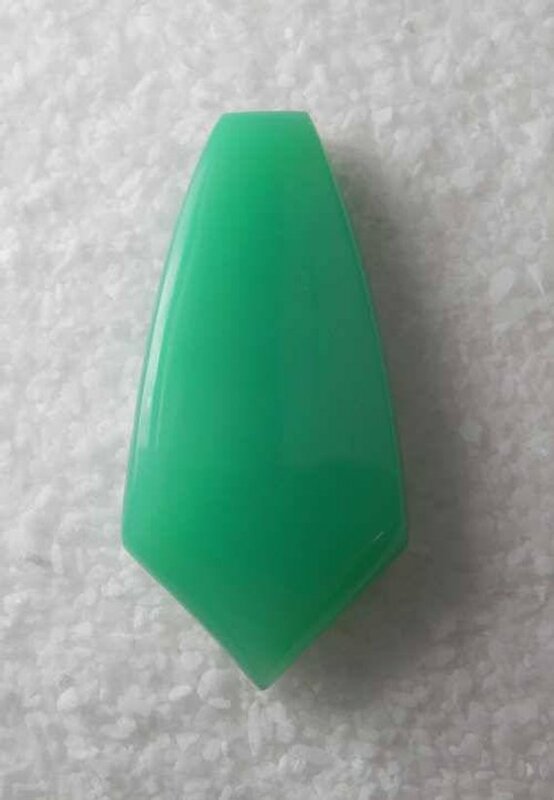 Australian Chrysoprase Marlbobough Mine Gem Grade Focal Drop. 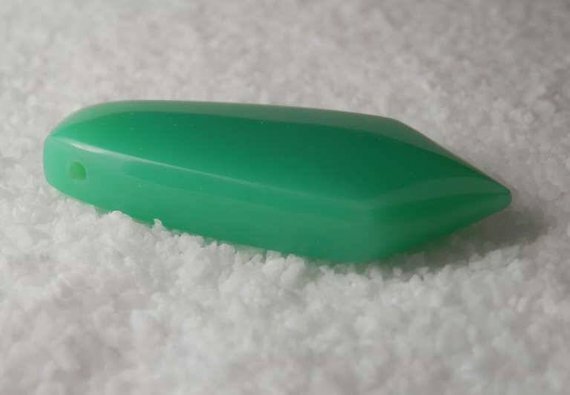 This Old Stock Gem Chrysoprase is bright apple green and gorgeous enough to stop traffic. Still takes my breath away....I love this stone! 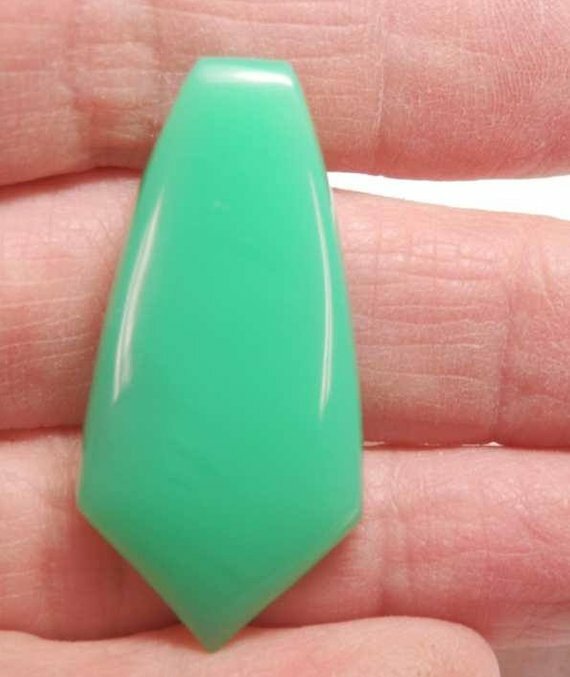 How would Mr. L.Tiffany love to play with this stone? 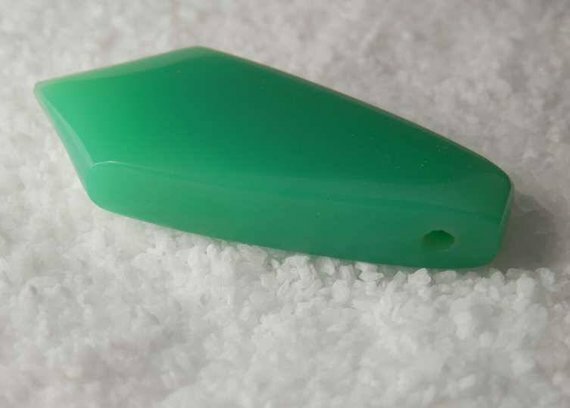 A designers dream, this gem-grade translucent cabochon of some of our old stock Australian Chrysoprase is a large shield shaped, side drilled drop and will be perfect in your high end designs. 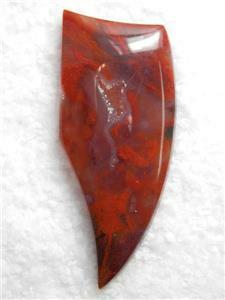 This quality gem is hard to find and at /$30.00 per ct. and is at or below fair market. 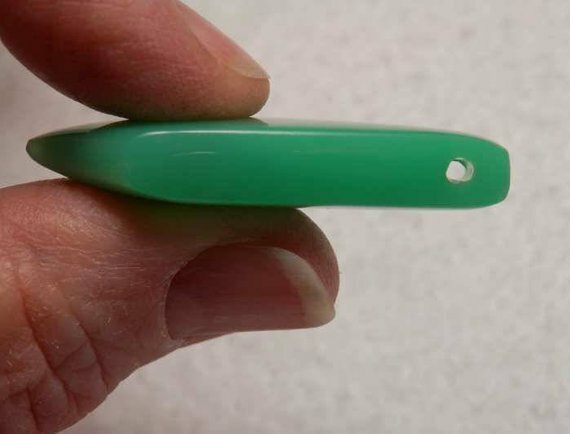 This spectacular designer drop measures 42mm x 20mm x 7.5mm and weighs 48.87 cts.